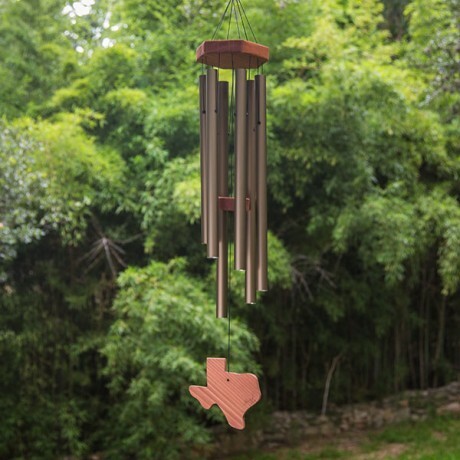 This lovely chime is crafted by hand in Nederland, TX by This And That Windchimes. 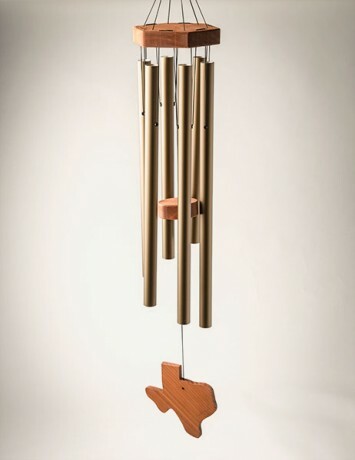 The notes identified for this chime are C, D, E, G, A & C and folks say it sounds like a tropical breeze! The wood windsail at the bottom of this 39 inch chime is shaped like the state of Texas.